Days: Wednesday. Event Types: Author Signings. Sectors: Author. Subjects: Adult and Picture Book. 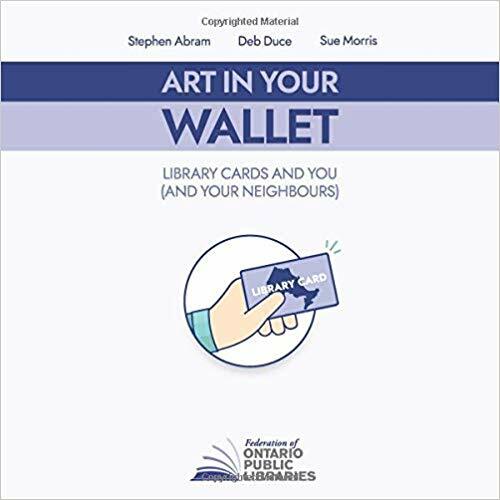 Sue Morris, author of Art in Your Wallet: Library Cards and You (and Your Neighbours), will be signing in MTCC 205B on Wednesday at 3:00 PM. This book is about libraries in Ontario celebrating our value to our communities. These festivities are always wonderful but this year we start our 151st year of being a province and a country so FOPL put together a book that celebrates library cards that are the Art in Your Wallet.